Impact Assessment and Evaluation of Therapeutic Groups in Low Income Communities- Bapu Trust Seher Mental Health Project, Bapu Trust Publication. Resource Person and Presenter at Syllabus Revision Workshop organized at Modern College, Shivajinagar under QIP , Pune University ( February, 2014) . Presented the SYBA Social Psychology ( G2) Syllabus. Attended Ph.D. Guides State level Workshop, organized by Dept. of psychology, Pune University, National conference at St. Mira’s College, Women’s Studies Centre with University of Massachusetts and on Bilingual Pedagogies. Resource Person at National Conference on Urban Inequalities at Siddhivinayak College, Pune. Chaired International Symposium Titled Gender and Sexuality Challenges and possibilities in the developing world at International Conference of Psychology, Japan. INTAR Peer Support Group and Youth Mental Health- Disha Experience. NAOP Teaching Psychology Critical Perspectives National Symposium. Kashmir Conflict: A Psycho Social Enquiry. Young Psychologist Competition – Christ University, Bengaluru. Marriage Partner – Suitability and Selection. Participation in training programme under the joint collaboration of Centre for Indian Languages, Tata Institute of Social Sciences, Mumbai and Women’s Studies Centre, SPPU. Special workshop for students on ‘Qualitative Research Methodology’ in Symbiosis school of Liberal Arts. For M A Sociology students on ‘Psychological issues in Child Sexual Abuse’ and Orientation for fieldwork. (September 2016) Modern College of Engineering under Quality Improvement programme of SPPU. Spoke on Personal and Professional Life Management Skills for girls. Annual Report of Department of Psychology, 2015-16. Participated in Evaluative Project for Bapu Trust for Mind and Discourse (May, 2016) - Three students from TYBA Psychology participated in an evaluative project conducted by Dr. Sadhana Natu for the Bapu trust. They conducted interviews and collected data for the evaluation. The students were paid at the end of the project. Internship (June 2016)- Four students from TYBA Psychology interned with Bapu Trust where they helped in collecting data for a baseline survey for the Bapu Trust. They worked as paid interns for the duration of the whole month of June 2016. Disha Group Discussion – ‘Har Ek Friend Jajoori Hota Hai’ 21st Aug- Students from first year, second year and third year got together for a group discussion on friends, friendship and unlikely friendships. Students opened up and shared their experiences. Achyut Godbole and Neelambari Joshi – ‘Manatcha Lekhan Pravas and the Importance of Psychology’- 26th August- Renowned Marathi Author Achyut Godbole and his co author Neelambari Joshi addressed the students about their literature journey in writing the book Manat. 8th Sep – Encouraging Attendance amongst students- Students who were showing inconsistency in attendance and were also showing academic lag, were called for a meeting to address their issues in attendance. Varsha Pinagle and Kaheeli Shinde: Experts spoke about their respective fields. Varsha Pinagle spoke about Erasmus Mundus Scholarship and her work. Kaheeli Shinde spoke about her Institute. Release of the Disha In house magazine Kaleidoscope Volume IX on the topic ‘100 years of psychology in India’- An annual magazine of the Disha Student Study Circle, Kaleidoscope encourages students to make an attempt to putting their thoughts in writing and laying down the basic for research writing. PSYWORLD- The activity of the Department of Psychology involves activities like handwriting analysis, drawing analysis and presentations on topics like Military Psychology, Forensic Psychology and so on. This activity helps to build micro and macro skills of students. Learning occurs by doing. It help students make the connection from theory to applications. Students learn event management skills, presentation skills and are a part of the process from idea to product. Transcriptions, field visits, collaborating articles. 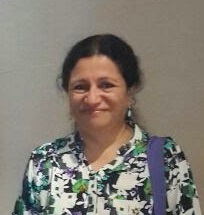 Harshada Naik, did PG diploma from Nottingham Trent University, UK and MSW , currently she works in Sangat, Goa as Team Lead and obtained International Diploma In Mental Health, Human Rights and Law. Disha members Ketan Rakshe, Deepali Kshirsagar, Rutuja Chinchore and Chetana Shivale worked as Volunteers for National Alliance for People’s Movement Annual Conference. Deepali Kshirsagar was placed at Pragati Foundation and Samyak for two and three months respectively. Deepali Kshirsagar came 4th in the National Entrance Examination for Masters in Gender, Culture and Development course.